March 19, 2019 in News // 2019-2020 Open Enrollment! February 1, 2019 in News // Help our school raise funds for the kids of St. Jude! Big Day for PreK is a proven-effective comprehensive program that ensures kindergarten readiness by building the foundation for success in school and life. 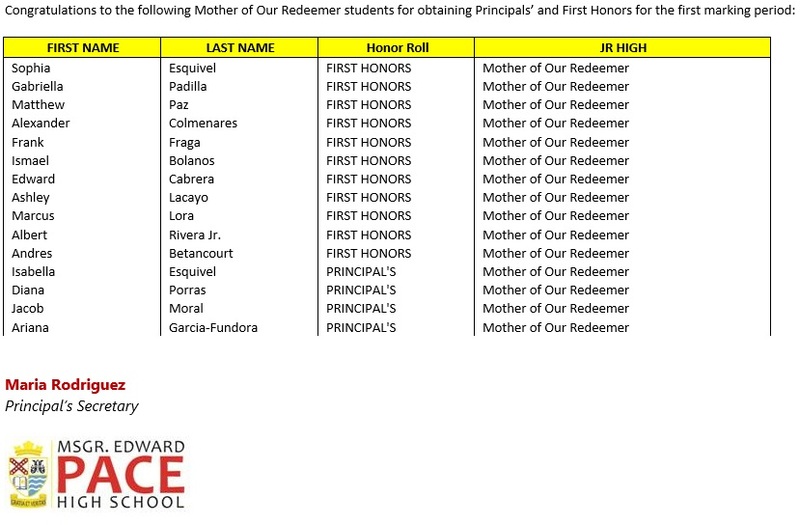 Mother of Our Redeemer Catholic School employs or contracts teachers who hold baccalaureate or higher degrees, have at least 3 years of teaching experience in public or private schools, or have special skills, knowledge, or expertise that qualifies them to provide instruction in subjects taught.